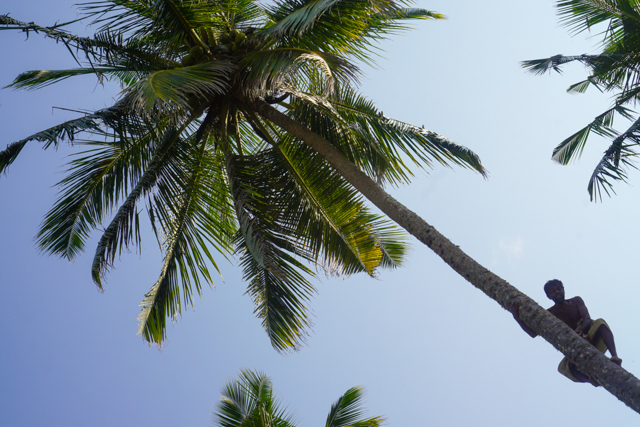 When I landed in Sri Lanka, I had no idea what I was doing. I knew not a word of Singhalese, next to nothing about the country, and I had absolutely no plan or itinerary. I went not because of what my mind knew, but because of the calling I heard. 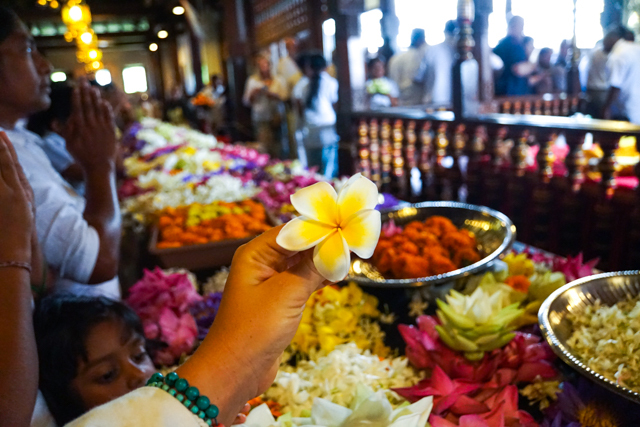 They say that like Bali, India, and other sacred places around the world, Sri Lanka calls you. That’s when you know it’s your time to come. Sri Lanka called me over a year ago through the whisper of a friend in Costa Rica, and she didn’t stop until the day I landed. I knew I was there for a purpose, I just didn’t know what that was. Instead of an itinerary, I followed my intuition and set off on a pilgrimage, participating in ceremonies without understanding what they were for, visiting sacred places and forgetting the history, and letting the land teach me what I needed to know. and coming home to myself on deserted beaches with my thoughts drowned by the violent ocean. I rarely met other travelers, spent most of my time alone, and remembered how to be my own best friend along the way. I questioned my choices, regretted decisions, surrendered to illness and injury, and rode the highs and lows of the road. I learned lessons I never expected to learn, met people I never imagined existed, and I healed in ways I may never logically understand. Layers of myself unraveled, I forgot who I was, and I remembered myself as someone I’ve always been. I let go of the past… finally. So I set myself free. 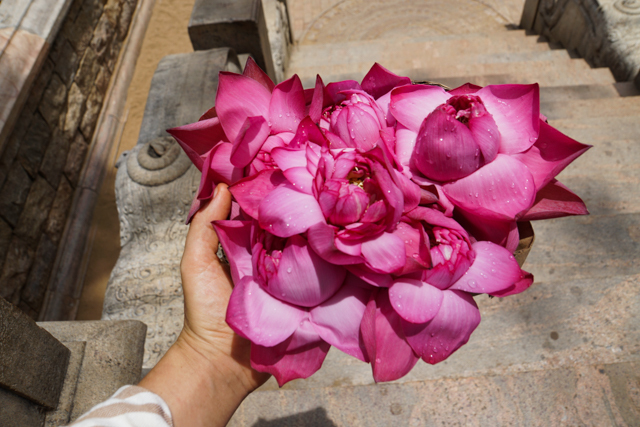 Because I answered her calling, Sri Lanka gave me everything I needed… even when I didn’t always like it. Has she called you too? While Sri Lanka is truly one of the most incredible countries I’ve ever been to, Sri Lanka is certainly not perfect nor is it for everyone. Like anywhere, it comes with challenges and there may be many aspects of the country that travelers will find undesirable or uncomfortable. My intention with this guide is to share with you all of the things I wish I had known. Where to go, where not to go, and the best way to enjoy this fantastic country. Please note, my recommendations are based on what I personally like and don’t like, so use your best judgment and take it all with a handful of salt. And if you feel yourself called for your own soul journey… trust your inner compass it knows exactly where you need to go. Sri Lanka has a unique and beautiful culture, unlike anywhere I’ve been before. It reminded me a little of Morocco mixed with Thailand mixed with what I imagine India to be. Picture hundreds of pilgrims dressed completely in white carrying baskets of lotus flowers to the temples every evening at sunset. Women in colorful saris walking down the streets with darling children waving hello. Stunning world heritage sites carrying their own special magic and legends. Go for the culture alone and make sure to attend at least one evening puja ceremony. This form of holistic healing comes from India and centers on the idea that all disease can be cured by bringing the body into balance. 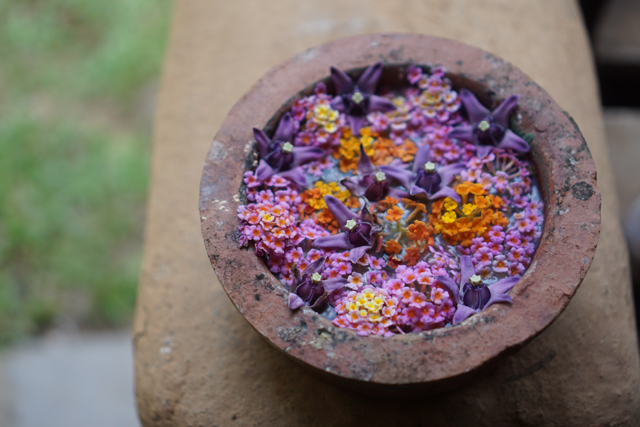 There are Ayurvedic centers, doctors, spas, and retreats all over Sri Lanka offering real, affordable, all natural medicine. It might change your life. 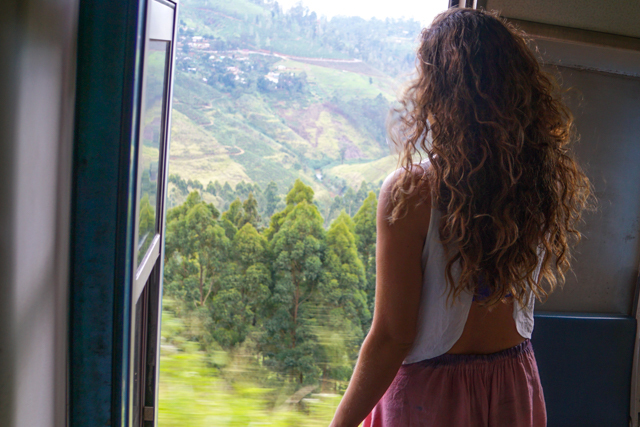 Perhaps my favorite thing to do in Sri Lanka is ride the train through the countryside. The views are stunning and it’s a fun way to get to know locals. I especially recommend the entire route between Kandy and Ella, and also between Colombo and Kandy. Any time you have the option to take the train over a bus or taxi, go for it! If possible try to book second class (first class has A/C and you can’t open the windows) with reserved seating ahead of time, sometimes they sell out and you have to sit on the floor (also a beautiful experience in its own way.) It’s such a pleasure to sit at the open doorways, dangle your feet out, and watch the world go by… but do be careful! The trains go FAST and sometimes go into tunnels. Hang on tight and keep your limbs inside. 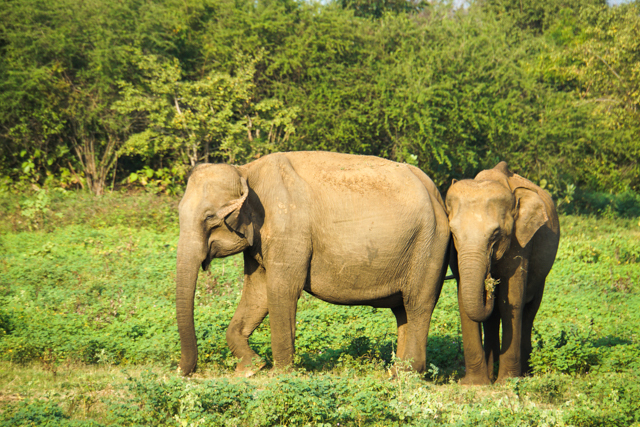 Even if you don’t visit the national parks or take a safari, you will see plenty of wild animals in Sri Lanka because they are everywhere! 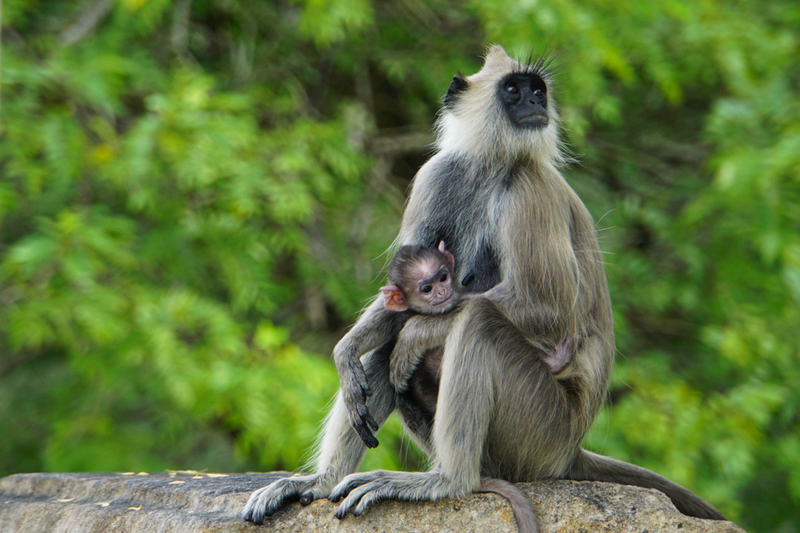 Monkeys, gibbons, crocodiles, peacocks, eagles, sea turtles, wild boars, elephants, even leopards can be spotted in areas far more public than you might imagine. 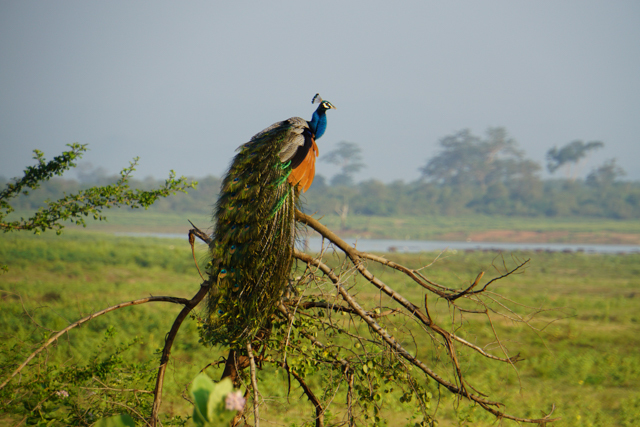 Even living in Costa Rica I’ve never seen so much wildlife anywhere as I did in Sri Lanka. I don’t surf, but Sri Lanka is meant to have excellent surf on the South and East Coasts (depending on the season) for all levels. Surf camps in Weligama and Ahangama are very popular (I hear great things about Camp Poe) and Arugam Bay has world class waves from May to October. Particularly in the hillside region of the country you can find enjoyable, accessible hiking trails with incredible views. Some of the hikes are very short and easy, like Little Adam’s Peak in Ella which takes about 15 minutes to walk up. Others are off the grid deep in the jungle and require a guide or even multi-day camping trips like those in the Knuckles Mountain range. Most hikers do day trips in Ella and Nuwara Eliya. 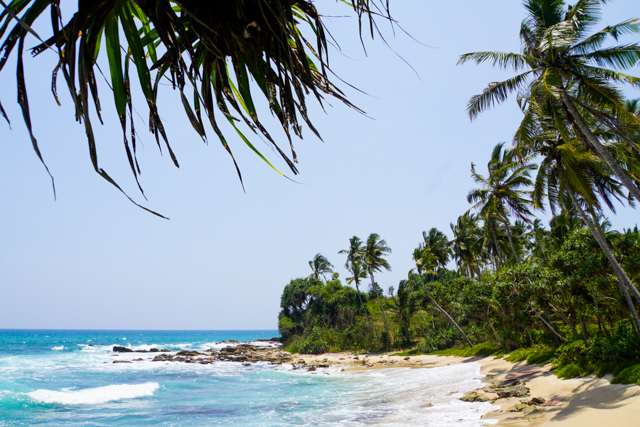 There’s a bit of a rumor going around that Sri Lanka is the next Bali. I can definitely see this, in some ways I like, in others I don’t like… What’s awesome about it is that a lot of the teachers and healers seem to be leaving Bali and making their way to Sri Lanka, which means you can find really high quality yoga in small studios. I especially recommend Sri Yoga Shala, which has yoga and workshops on par with The Yoga Barn in Ubud, but small class sizes and a saltwater pool you can dip into after class. I may be biased from living in Costa Rica, but there are much, much, much nicer beaches in the world than any that I found in Sri Lanka. It’s very sad to me, because the entire coastline must have once upon a time been stunningly beautiful. However, they’ve cut most of the trees down, built concrete hotels right on the shore, and for most of the West and South Coast a busy road runs right beside the ocean. I’m not saying don’t go to the beach at all, but if I went to Sri Lanka specifically for a beach vacation I would be extremely disappointed. I’ll recommend the best beach options later on in the post. 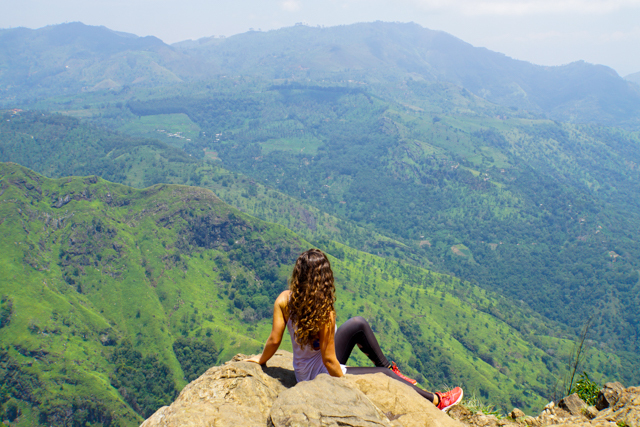 During the month I spent traveling through Sri Lanka I only met three other solo female travelers. In many parts of the country I saw few other tourists, and most travelers I met were couples on vacation together. There are some hostels, but if you’re traveling here alone expect to spend a lot of time with yourself or sign up for a retreat or surf camp. 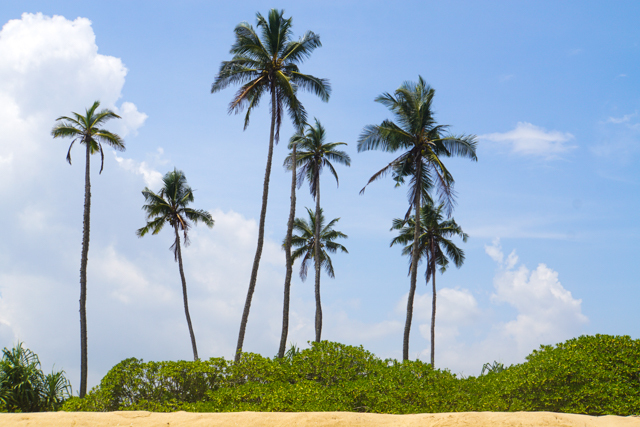 You can get by on a very low budget in Sri Lanka as easily as you can overspend. It depends how “comfortable” you want to go or how “local” you want to go. For instance, a two hour bus ride will cost less than a dollar while a taxi going the same distance will charge close to one hundred. Meals are extremely cheap, with delicious rice and curry buffets for $1 and even at the more expensive restaurants on the beach you’ll rarely spend more than $10. Accommodation is very overpriced in my opinion, it’s difficult to find a room for less than $20 and many are in the $40-100 range. If you’re traveling alone you may end up spending a lot on rooms. (More on that in the accommodation section below.) 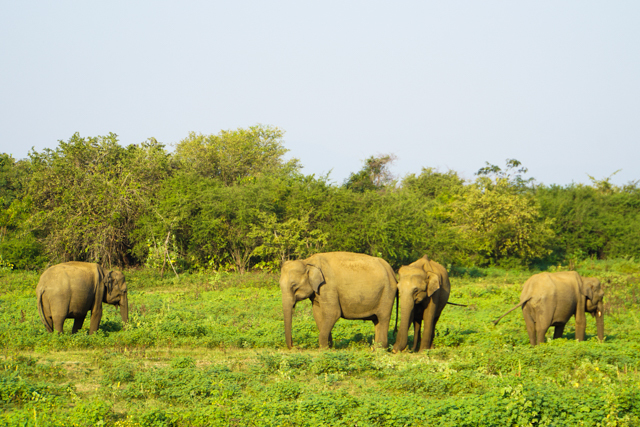 Touristic activities like wildlife safaris and visiting UNESCO world heritage sites are quite expensive, I would budget around $25 – $50 for each excursion. In most of Sri Lanka the weather gets very hot, so pack loose flowy clothes that dry easily. 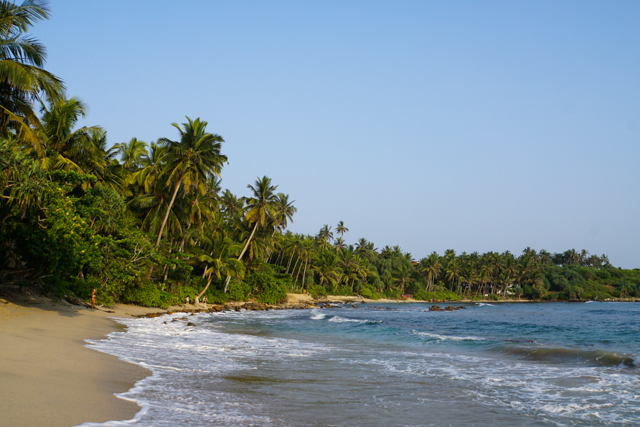 You will want to bring mostly clothes that cover your knees and shoulders (except for the beaches) since Sri Lanka is a pretty conservative Buddhist country. Even with your whole body covered you will get many stares and you may want to minimize the attention by being more conservative than usual. Also, there are beautiful temples everywhere and it’s nice to be able to just pop in without worrying about your clothes. Definitely bring a sarong to throw over your shoulders for temples. It can get chilly in the hillside, so bring a sweater and proper shoes for walking. I also recommend taking a universal adapter since Sri Lanka seems to have five different kinds of outlets in every room. For more packing tips check out my posts How to Travel With Nothing But a Carry On, What Every Girl Should Bring Beach Backpacking, My Travel Wellness Kit, and My Travel Beauty Kit. Sri Lanka has a wide variety of accommodation options, from cheap huts and dorms to luxury glamping and boutique guesthouses. Depending on how well you search and plan, you may get an exceptional value for your accommodation or you can also get a really horrible value. 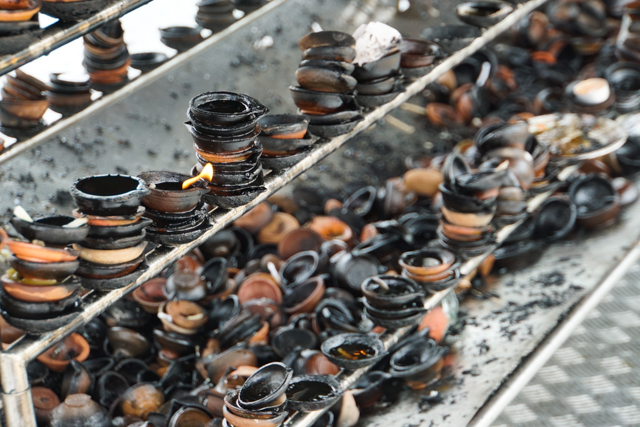 As the tourism industry is still developing, there doesn’t seem to be a set standard of quality for guesthouses and hotels. For this reason, a $60 room may not be any nicer than a $15 one. No exaggeration. Some of the nicest places I stayed in cost $20/night and were immaculately clean and spacious, had a hot shower, and included an amazing breakfast. I also paid $40/night for a room I could barely move in because it was so small and had a shared bathroom with a cold water shower. Or, I’m embarrassed to admit it, there was my “splurge” day where I treated myself to a “luxury treehouse” for $85 which was actually a very basic wooden hut with bad water pressure across from a busy street with zero facilities and not even a towel for me to use. In my opinion the best value for accommodation can be found by staying in locally owned guesthouses. The owners take a lot of pride in their place, which means you can expect incredibly clean rooms and five star service. 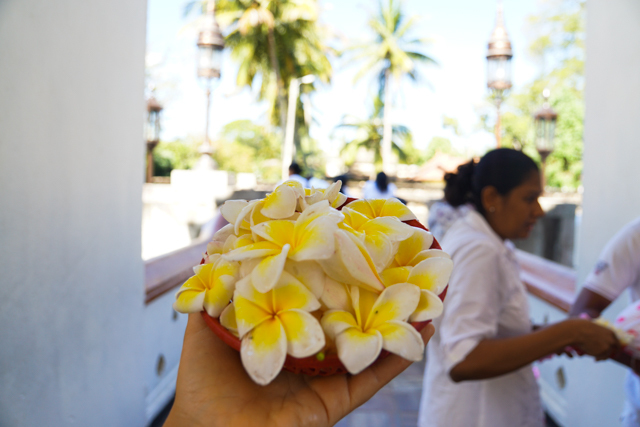 It’s also a wonderful way to connect with locals, hear their stories, and eat delicious Sri Lankan food. Part of what I loved so much about Sri Lanka was the chance to stay in people’s homes, eat their cooking, and chat over tea in the afternoon. Depending on the season you may have luck turning up and asking for availability, but in my experience it’s best to book at least a few days in advance. I recommend going on Booking.com and Airbnb and looking for places with the best reviews, especially ones that emphasize the friendliness of the hosts. If you use this link to book with Booking.com, you’ll get $20 off your room! Taxis and tuk tuks will tell you that it’s much more convenient to go with them than take local transportation, but I actually really enjoyed taking local transportation and it’s much cheaper. 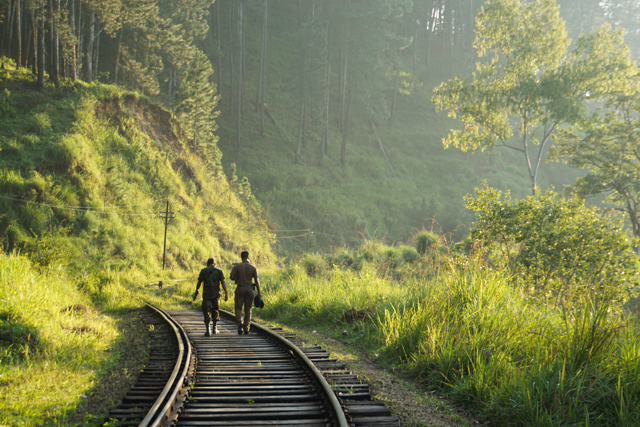 Taking the train is a MUST especially between Kandy and Ella. Buses are very convenient, running all of the time, but they can get crowded and play loud and annoying music. 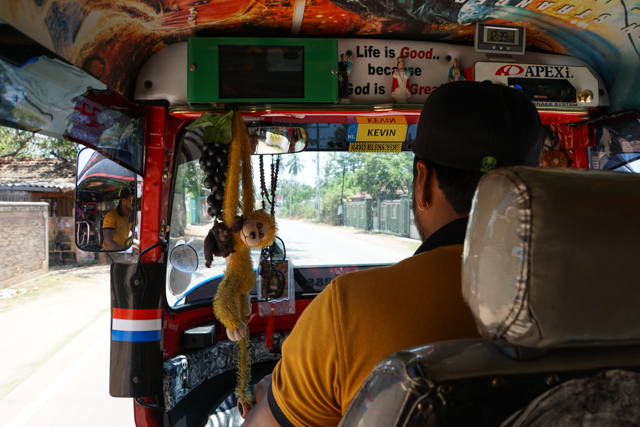 Between the bus station and your guesthouse you can usually negotiate a tuk tuk for a dollar or two. If you want to visit a bunch of different places without spending the night, it may be worth it to hire a tuk tuk or a private taxi. The rate is the same whether for direct transportation or a journey with many detours. Especially if you’re traveling with others, you may want to base yourself somewhere and then have a driver take you to nearby temples and other excursions. In the South I found tuk tuk drivers who would take you to different beaches and temples for half the day and it only cost around $10. In this case, it’s better to ask around and negotiate than book through your hotel. 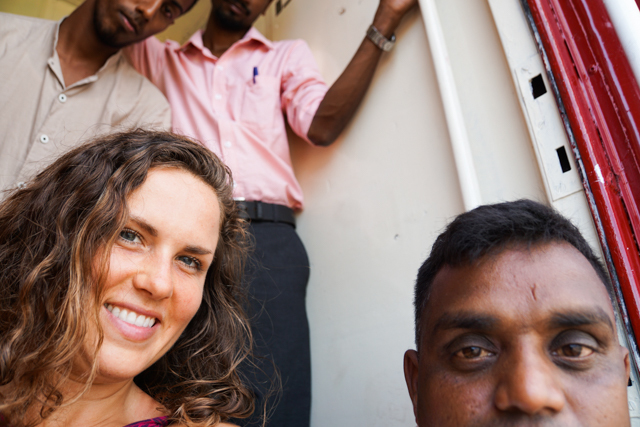 Generally I felt very safe traveling alone as a woman in Sri Lanka. You may get a lot of unwanted attention, but it’s usually harmless and even polite. Men will probably stare at you and ask you lots of questions “Hello Madam, married? Alone? You? Only?” but I never experienced cat calling or any kind of harassment. The only place where I felt somewhat uncomfortable was in Mirissa where the men seemed more aggressive, likely because that town has a party vibe. I have heard stories from some women about men masturbating in their presence in the street. While upsetting they were not necessarily in any danger. Unfortunately I’ve experienced this in many places in the world including Thailand, Mexico, and the USA. Theft and robbery seem rare (this has generally been my experience in Buddhist countries) though it’s always a good idea to keep your valuables locked up and your belongings in sight when you’re at the beach. And watch out for monkeys they are notorious for stealing food and even cameras! For more tips on solo female travel safety read my article How to Feel Safe as a Woman Traveling Alone. 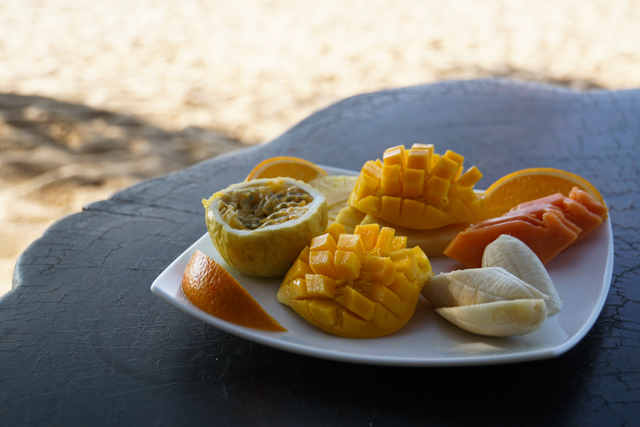 Food in Sri Lanka is absolutely delicious and relatively healthy. There’s tons of vegetables, few additives, an it’s very easy for vegetarians/vegans. That said, you may quickly find yourself gaining weight and overeating. Portion sizes are enormous, there’s very little raw food available, and treats like roti and buffalo milk curd (ahem gluten and dairy) are so good it’s hard not to overindulge. So, you have a few options. 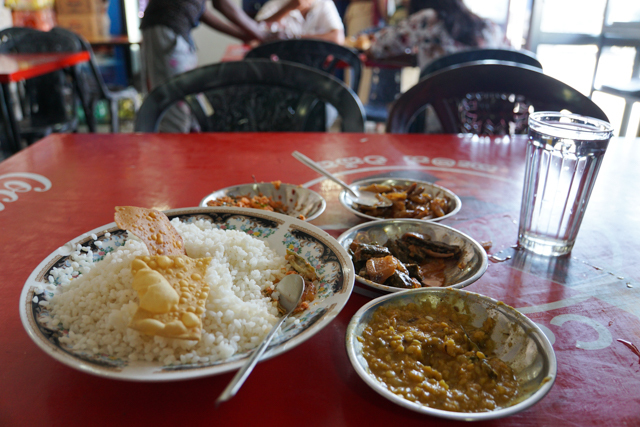 You can just accept that you will likely gain weight and enjoy all of the deliciousness of Sri Lanka. You can skip the amazing hoppers and eggs and roti and dhal served at breakfast and just have fruit instead, eat carrots and raw vegetables from market stalls for lunch, and skip the rice at the curry buffet at dinner. Or you can do some kind of combination of all of it. To make sure you’re digesting your food properly and getting the right nutrients (TMI I got digestive issues halfway through my trip and spent the last two weeks feeling backed up and bloated, thanks to no raw food) I highly recommend traveling with digestive enzymes, a quality probiotic, and spirulina (to make up for the dark greens you may be missing out on.) You could also pack some chia seeds and add them to your water if you’re feeling low on fiber. 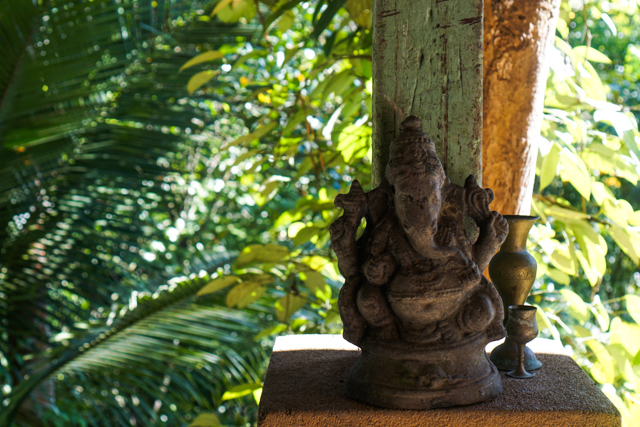 A GREAT way to be healthy in Sri Lanka is to visit an Ayurvedic center. If you find yourself getting sick, or you just want to work on some chronic issues you have, there are highly qualified doctors all over the country who can provide you with special supplements and recipes. For more of my travel wellness advice read My Travel Wellness Kit and How to Travel the World and Never Get Food Poisoning. Earlier I mentioned that Sri Lanka lacks the booming traveler scene of many other countries, and seems to attract more families and couples. You will enjoy your trip much more if you learn to enjoy your own company. Prepare for times of loneliness, but loneliness is also beautiful, and a space where we can learn to be better friends and lovers to ourselves. 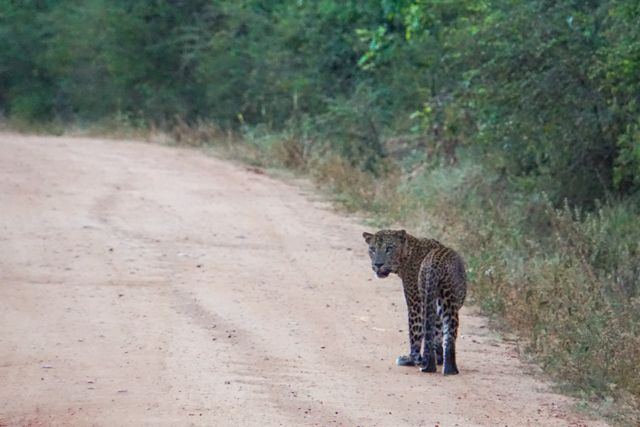 That said, there are certainly ways to meet likeminded travelers in Sri Lanka. Perhaps the easiest way is to stay at a surf camp. These are very popular along the South Coast, especially in Weligama, and I have heard very good things about one called Camp Poe. Doing a surf and yoga retreat is another option, and again these are quite popular in the beach towns. Attending yoga classes is usually my favorite way to meet others and find community. For more tips on meeting friends on the road, check out How to Find Your Soul Tribe While Traveling. How long do you have to spend in Sri Lanka? If you want to move around the country and get a good taste, I recommend spending at least two weeks. To really enjoy your time consider spending three weeks or even a month. There’s tons to see and in one month I felt I barely scratched the surface. This itinerary is based on a one month trip, and has a looooottt of moving around. The reason is to give you a taste of your money options and help you create your own itinerary based on what calls to you. 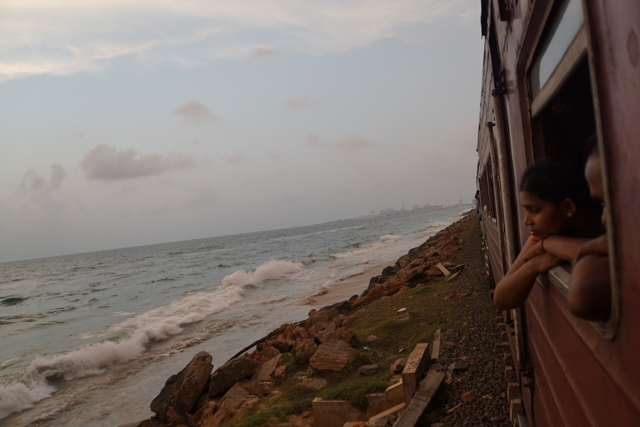 If possible, go immediately on the train rather than staying in Colombo. Colombo is a huge city, it reminds me a lot of the capitol cities in Guatemala and Nicaragua (aka dirty, crowded, and without much personality), and unless you know people there I recommend getting out as soon as possible. If you get in late at night you can stay in nearby Negombo (which has a beach, but not a very nice one in my opinion) but keep in mind you’ll have to take the long bus ride back to Colombo to catch the train the next day. There’s also the Hangover Hostel close to the airport, which is a great way to meet people right from the start and potentially have some travel buddies for the rest of your journey. 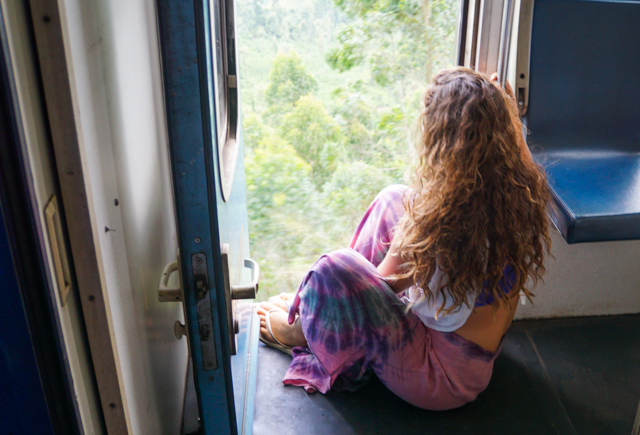 Take the train down to Unuwatuna to ease yourself in easily. 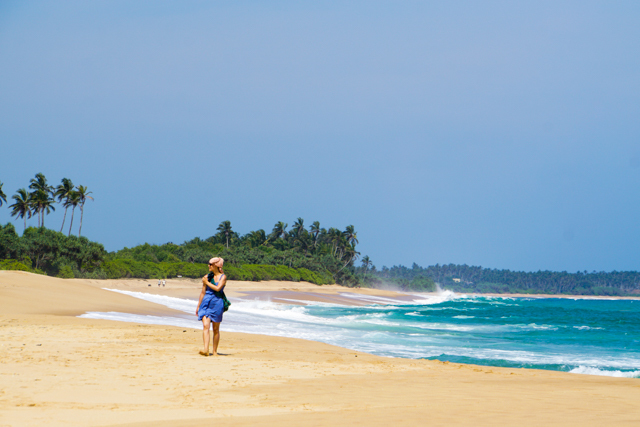 It’s very touristic and commercial, as is the entire South Coast, but will be an easy landing pad and the beach itself is one of the nicest I saw in Sri Lanka. 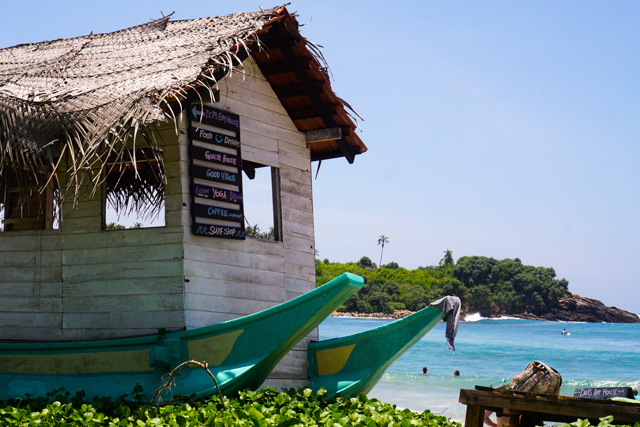 There’s a hostel community near Unawatuna and plenty of guesthouses to choose from. I recommend renting a bicycle and staying back in the rice fields away from the main strip. 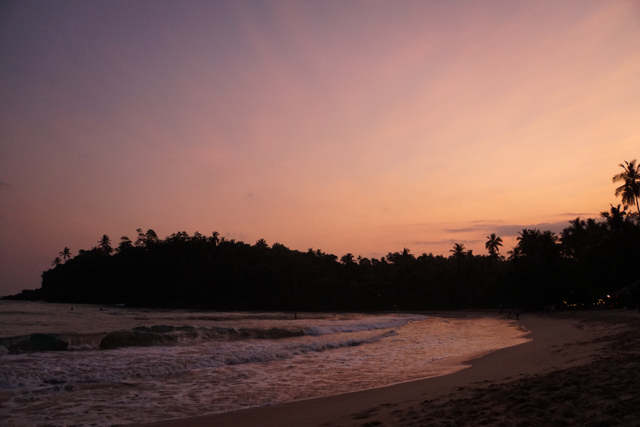 Take yoga and check out the workshops at Sri Yoga Shala, and be sure to visit Nalawella beach to swim with the sea turtles. 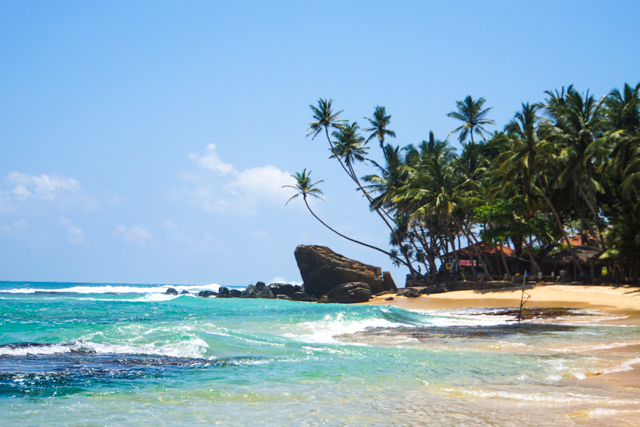 Visit Galle Fort to see the sunset and colonial architecture. 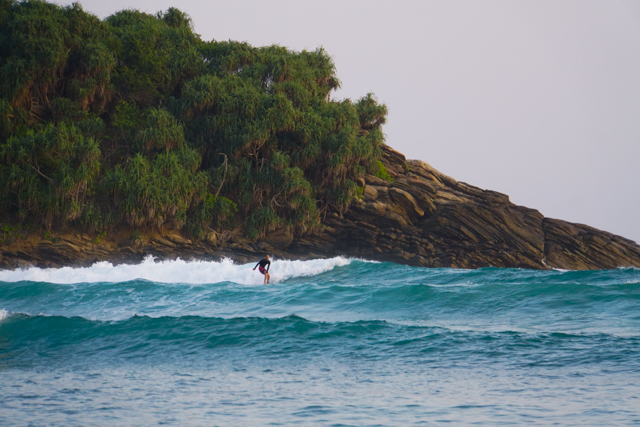 For small town vibes and great waves, stay in the small bay of Hiriketiya and take some surf and yoga lessons. You can easily get there by bus from Unawatuna in a few hours. There are good waves for all levels but it’s verrryyyy crowded with inexperienced surfers, which potentially makes it dangerous. It’s such a small bay and there’s too many people, so don’t expect nature magic and peace and quiet, but it was easy to feel at home and meet others quickly. Plus, the beach itself is really beautiful. I imagine if you come in the shoulder season you can enjoy the bay with a lot less people. I connected with the other yoga teachers living there and it was nice to have friends when I had met so few travelers in the rest of Sri Lanka. There’s not many budget places to stay there, however DOTS does have dorm beds, though still expensive at $15/bed. There’s also a few little local guesthouses where you can get a private room for around $20-$30/night. Otherwise expect to spend around $100/night at the nicer places like Jasper House and Salt House. Pop into Jasper House and say hello to Helen who offers yummy yoga and some of the best massages I’ve ever had. Head to Salt House for green juice, superfood smoothies, and a very cute male yoga teacher. From Hiriketiya take a short bus ride, about half an hour, to Marakolliya beach just past Tangalle. This is the most beautiful coastline I saw in Sri Lanka. Unlike anywhere else I went, it’s still nature backed with very little development and uncrowded shoreline that goes for miles. Since the main road is about a kilometer away from the beach you just hear the sounds of the waves and nature, and can explore lagoons and mangroves likely beside your guesthouse. 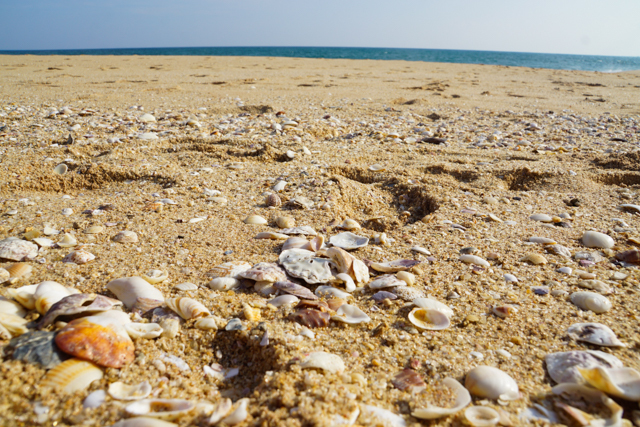 Plus, if you’re there at the right time you can see turtles nesting once it gets dark. Unfortunately the ocean is so rough here it’s impossible to get into the water except at a few small spots with reef pools. The best place I found to swim is right in front of Mangrove Beach Cabanas. I recommend staying at ChillInJoy guesthouse (book with this link for a discount), very nice, great location, and exceptional value. There aren’t any hostels, and don’t expect to see many other travelers, the crowd here tends to be couples on vacation. 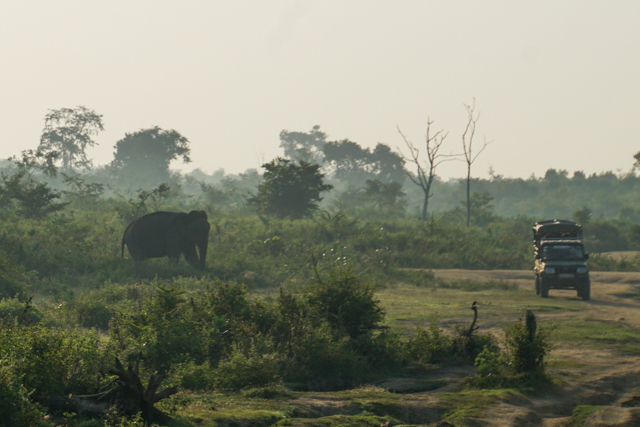 Take the bus up to Udawalawe and organize a sunrise safari for yourself the next day. Keep in mind, if you’re on your own, it can get really expensive to do the safari. Try to find other travelers who you can join to share the cost of the jeep and the guide. 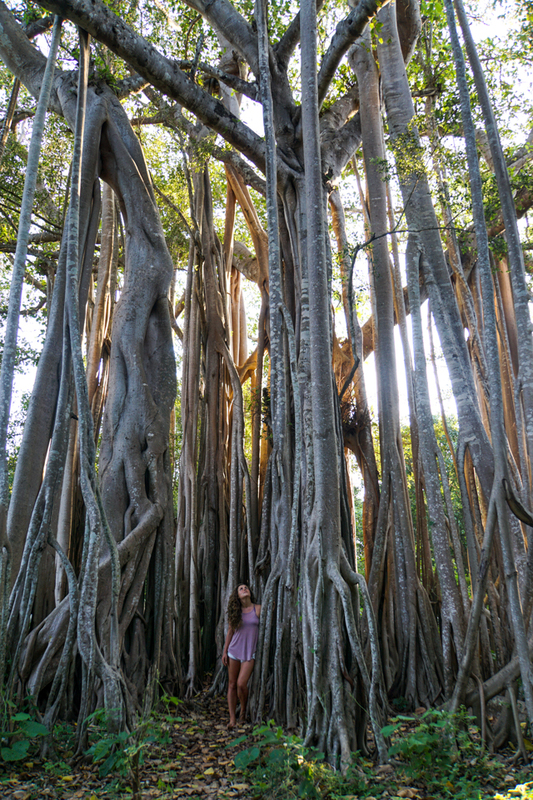 If you have it in your budget, there’s a magical place to stay about half an hour away called Banyan Camp. 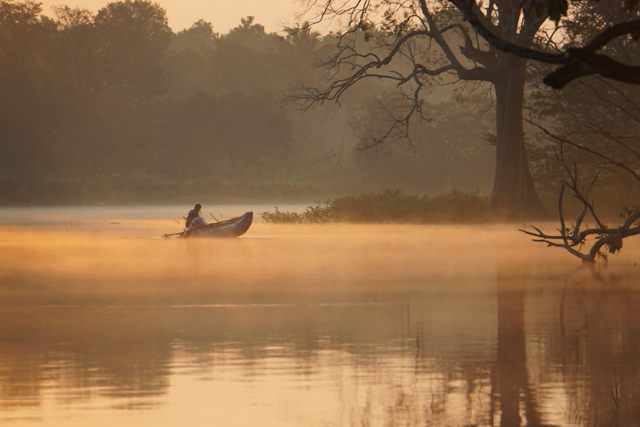 Try to arrive early in the afternoon and take the canoe safari with them to visit some gorgeous trees and see all kinds of birds. Otherwise, I can recommend this local guesthouse (book with this link for a discount) with amazing reviews. 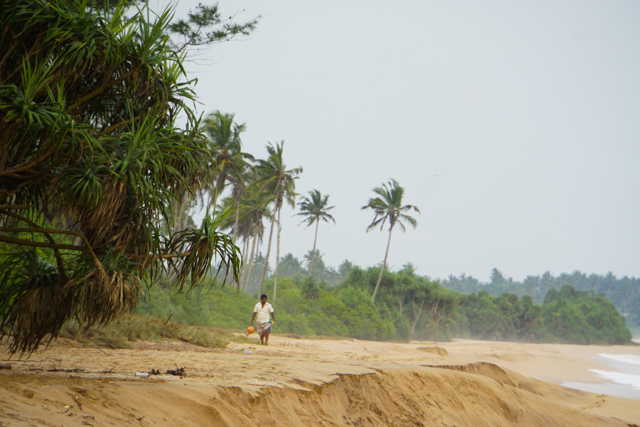 You can reach Ella by bus from Arugam Bay, which will take several hours. 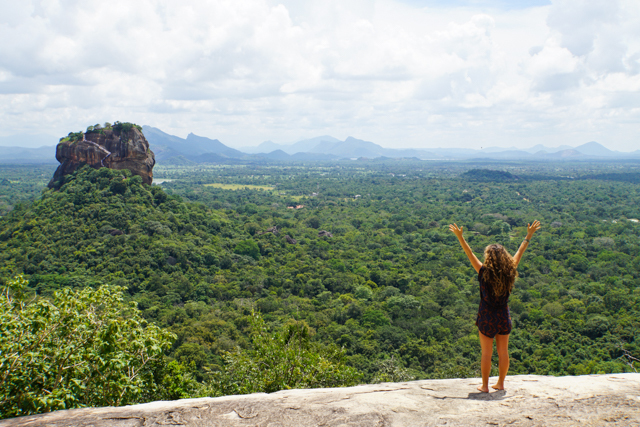 Ella is by far my favorite place I visited in Sri Lanka, and many other solo female travelers have told me the same. I loved the gorgeous views, the easy fun hikes, the access to nature, and wonderful hosts at the guesthouses I stayed at. It’s a place where there’s plenty to do and it’s also enjoyable to simply be. Hike up to Ella Rock early morning, go to Little Adam’s Peak for sunrise, walk along the railroad tracks to the Nine Arches Bridge for sunset, and spend a hot afternoon climbing and swimming at Ravana Falls. The main drag can feel hectic and touristy in an icky way, I would avoid it as much as possible and stay in the hillside on the way to Ella Rock. 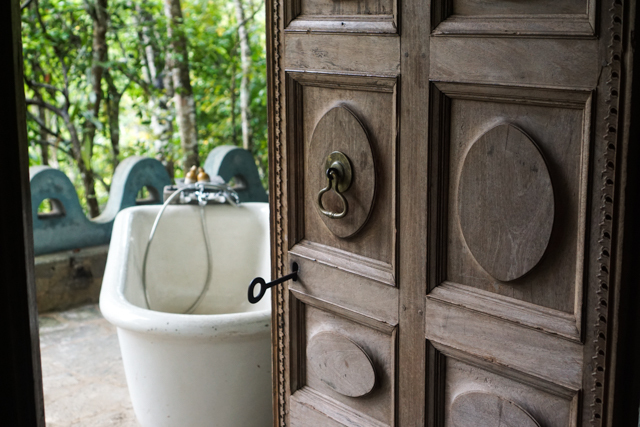 Two wonderful guesthouses I can recommend are Welcome Inn and Ella Waterfall View, both with great views, extremely nice local families, and amazing Sri Lankan food (book with this link for a discount). 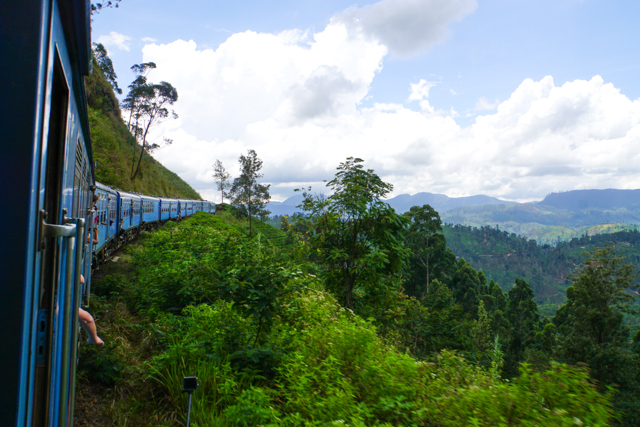 Taking the train from Ella to Kandy is one of my favorite all time travel experiences. The views are truly stunning and it’s fun to meet different people and sample different Sri Lankan snacks from vendors who hop on and off. 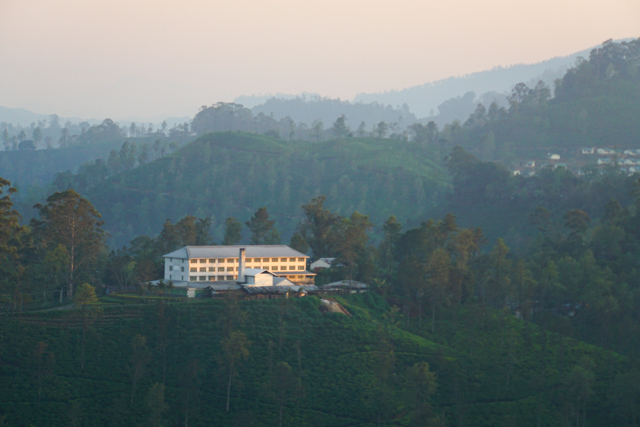 Between Ella and Kandy are some worthwhile stops, the first being Nuwara Eliya, which is the heart of the tea plantation region. It was actually really sad to me watching the gorgeous forests turn into manicured rows of black tea. I did not actually make it to Nuwara Eliya because I got confused and went all the way to Ella. From what I hear it’s wonderful to take some walks in the hillside, go somewhere fancy for afternoon tea, and visit Horton Plains. There are also tons of waterfalls in the area you can visit. 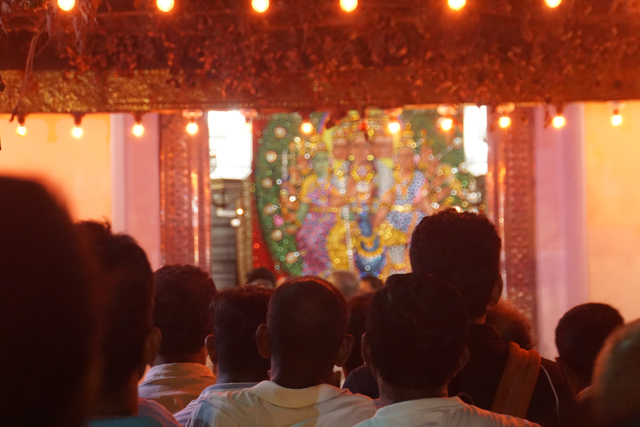 I personally would recommend visiting the nearby Sita temple, in honor of the goddess who according to legend was kidnapped and held hostage in Sri Lanka. (She is an amazing goddess whose story I highly recommend reading about more… maybe I’ll write about it eventually….) I recommend staying at HI Lanka Hostel where you can coordinate with other travelers for daytrips to the major sites. 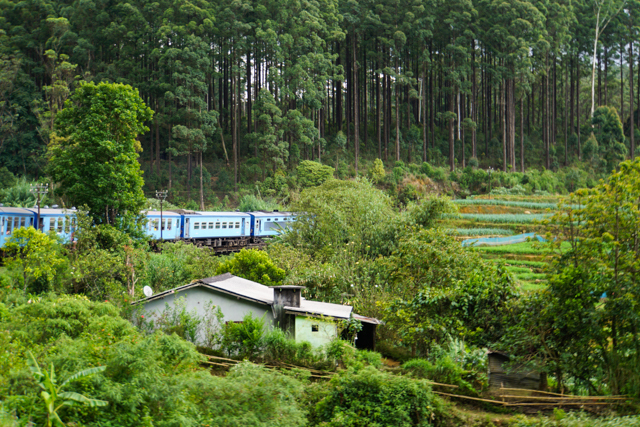 From Nuwara Eliya it’s a gorgeous train ride to Hatton, where you’ll need to take a bus to stay near Adam’s Peak in Dalhousie. There are also more options, and apparently better ones, in nearby Maskeliya. Alas, I did not climb Adam’s Peak as life had other plans when I rolled my ankle dancing and could barely walk let alone climb. 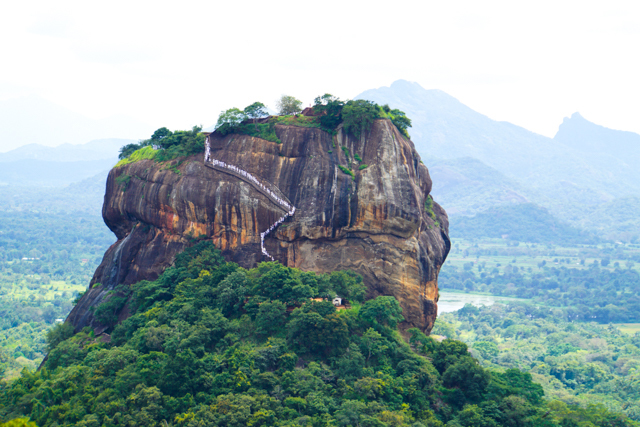 However, if you’ve of able body and mind Adam’s Peak is a must not only for the views, but for the cultural experience. 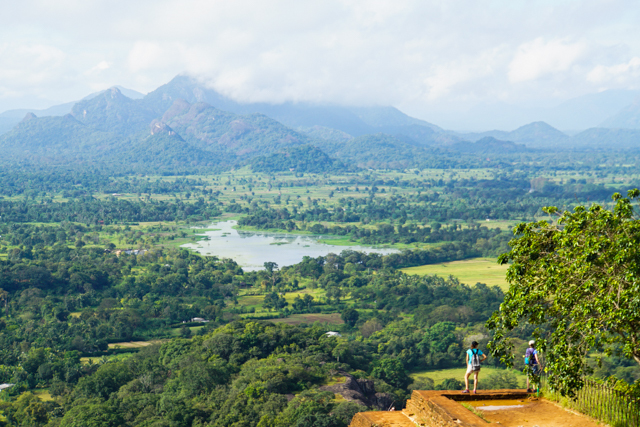 Adam’s Peak is one of the most sacred sites in Sri Lanka and many locals go for their personal pilgrimmage. I hear the climb is VERY difficult, so you want to have several days after to recover before flying. 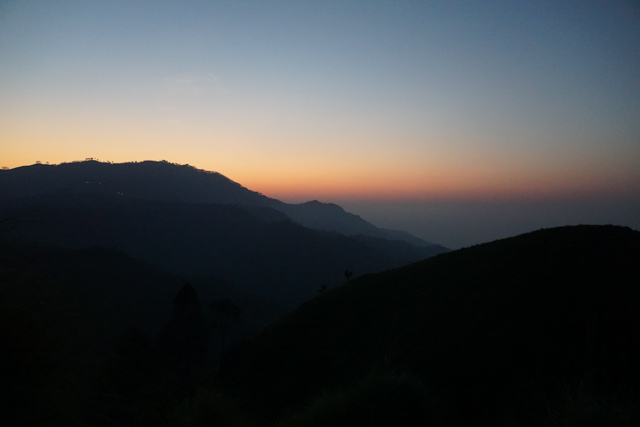 You can plan to climb very early in the morning the day after you arrive in Dalhousie, around 3am, and come back to rest and stretch. 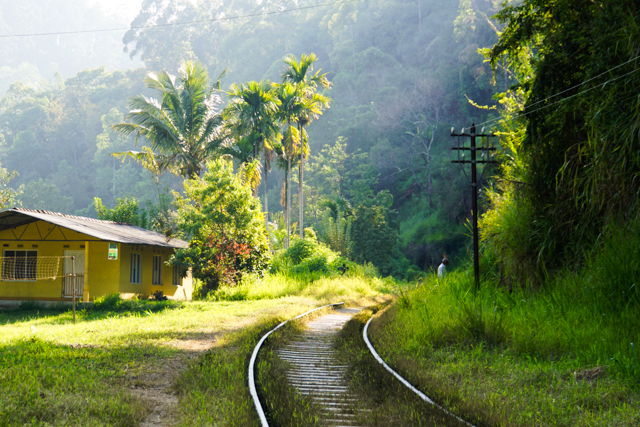 It’s common to be stiff and sore for at least a couple of days, but if you do some deep hamstring stretches and get a good massage with Ayurvedic balm you may be ok.
Take the train from Hatton up to Kandy, to experience the cultural heart of Sri Lanka. Kandy is a big and hectic city, but it’s surrounded by lush jungles and has one of the most famous temples in the country, The Temple of the Tooth. Be sure to visit the temple either early in the morning when people go to give offerings, or in the evening for the Puja ceremony. 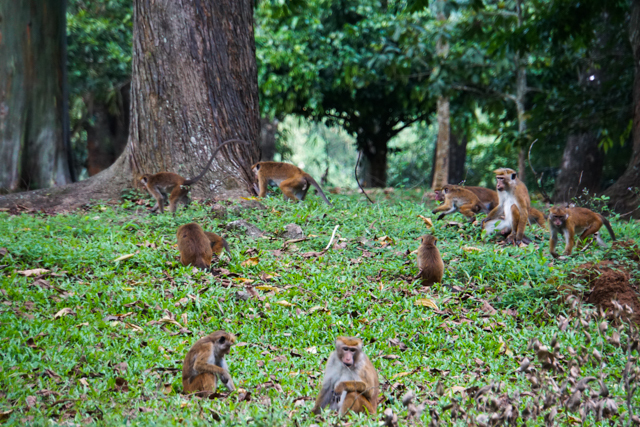 Give yourself at least a full afternoon to go to the nearby Royal Botanical Garden which has stunning ancient trees covered in gangs of monkeys and millions of fruit bats. It’s very magical and otherworldly. I recommended staying up in the hills surrounding Kandy, a $2 tuk tuk ride away, to escape the city craziness and enjoy beautiful views. There are also plenty of hostel options in Kandy, perhaps the most of anywhere I saw in Sri Lanka. 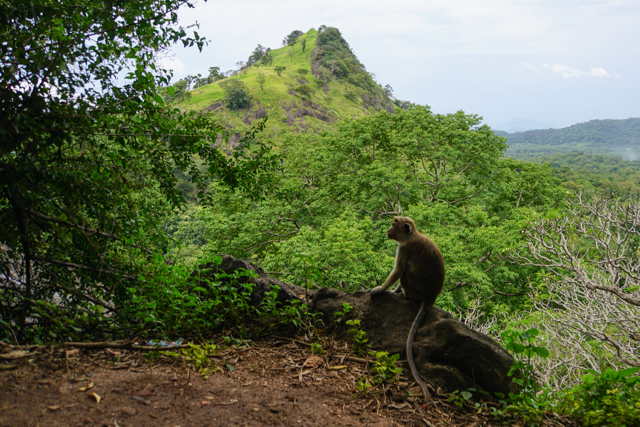 Take the bus up to Dambulla and visit the famous cave temple with stunning views and a mystical atmosphere at sunset with monkeys climbing all over it. 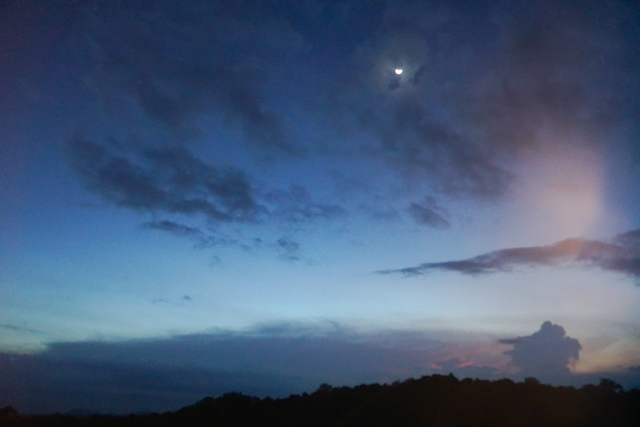 Then take another bus to the Sigirya Rock area to spend the night. 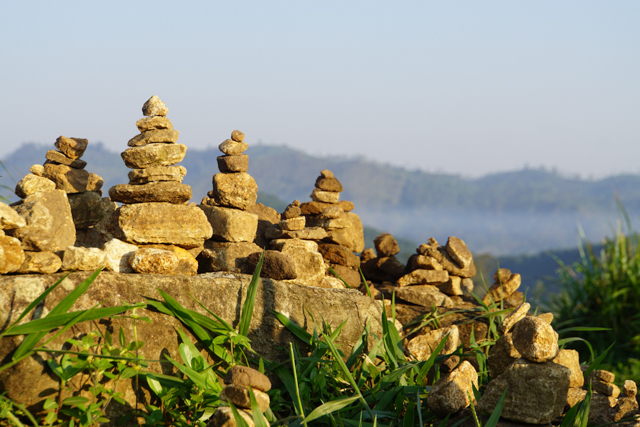 Wake up early, before sunrise, and hike Pindurangalle Rock facing Sigirya Rock for beautiful views. Later in the afternoon go to Sigirya Rock and wander through the gardens. You could even pack yourself a lunch, bring your journal or a book, and spend most of the afternoon just resting in nature. A bit before sunset, make the steep climb up the rock. Stay at the top until the crowds disappear and enjoy the pink sky all to yourself. These two famous temple sites sit on either side of Sigirya, forming what’s called The Cultural Triangle. 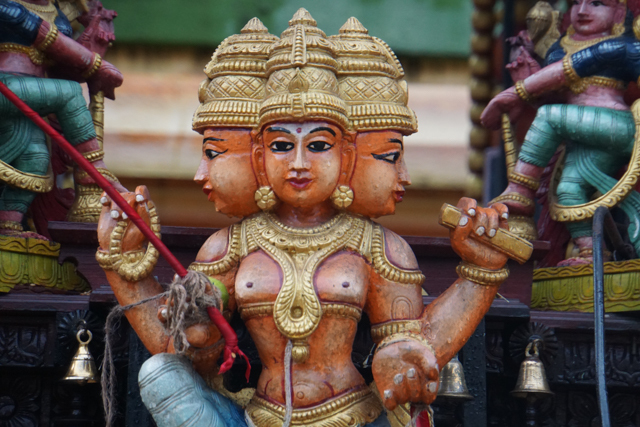 Which temples you choose to visit depends on what you’re after. 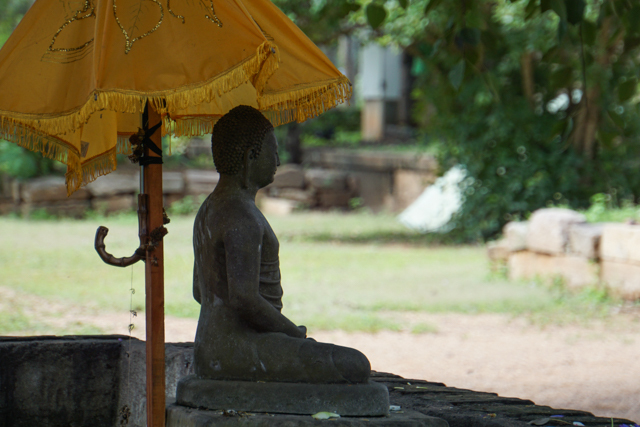 Polonnaruwa has far better preserved temples and many travelers prefer it. However, if you’re more interested in the current cultural context, Anuradhapura is a very important pilgrimage site for Sri Lankans. 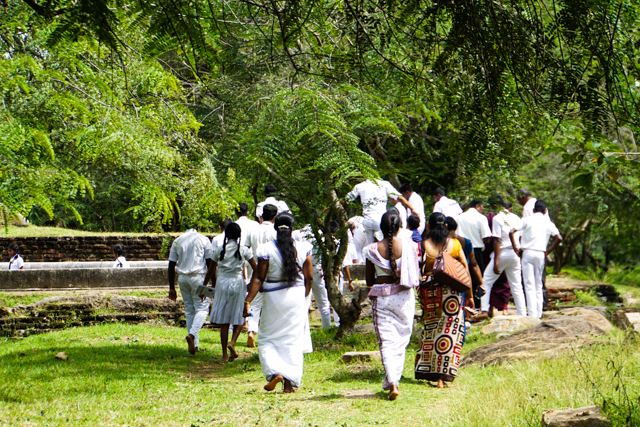 Personally I loved the energy in Anuradhapura, it felt very peaceful and sacred. However many travelers are disappointed with the ruins themselves, and it’s quite expensive to visit them by Sri Lankan standards. 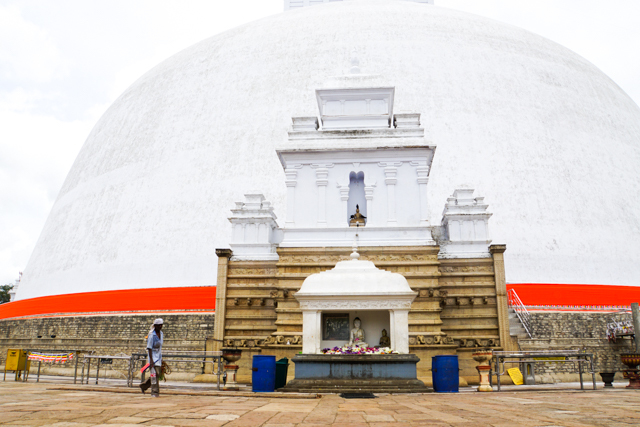 You can reach Polonnaruwa within an hour of Sigirya, and Anuradhapura within two hours, so you could certainly keep Sigirya as your base if you wanted to. 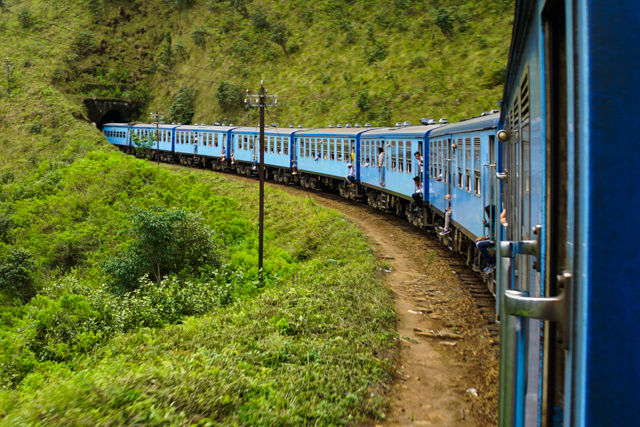 Trains run between Anuradhapura and Colombo, and also Kandy and Colombo. Spend your last night doing a food tour in the city or just crash before catching an early flight. So, what did I miss? Any recommendations you have to share? I enjoy hearing about your journey. I’m interested to know what your family back in the states think of your travel lifestyle. Are they inspired? Do your parents ever come visit you. I hope my question isn’t too forward. Have a great day! Hi darling, oh don’t worry few questions are too forward for me 😉 Yes, they LOVE what I’m doing, are so proud, supportive, and inspired! My Mom has come to visit me at different places in my travels and I come back every year to visit my family. It’s not easy being away from them, but I’m so much happier than I used to be and so they understand. You are so welcome dear, thanks for your comment. Mmmmm so the only weird experience I had on a bus was a man scooted in right beside me in my seat when there were a million empty seats but the bus driver yelled at him and made him move seats! 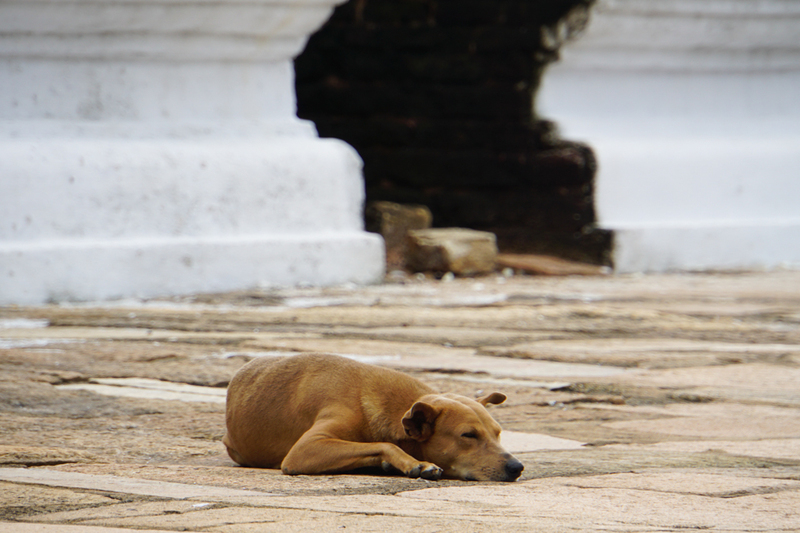 People in Sri Lanka are incredibly friendly and I felt really safe and respected there. Oh, one thing I will say, is that there is a bit of a belief that foreign women come alone looking for a Sri Lankan boyfriend. I think that’s kinda global though when you’re a woman alone in a developing country. No one overtly said that to me, but it was hinted at a lot and that was a bit awkward, but I never felt unsafe. Hi Camille, what a beautiful detailed post! Love the pictures and you make me want to go there again right now. Sri Lanka has called me in 2016 on my kitesurf solotrip around South East Asia. So yes, you missed Kitesurfing around Kalpitiya! But honestly there is not so much more than kitesurfing (and whale watching in the kitesurf off season I was told). Anyway Sri Lanka is a blast, one of the most interesting countries I have ever been. Since the wind is very consistent in June and the conditions perfect I only gained a lot of muscles in two months😜…. probably because I do not like beer too much and other stuff was hard to get. Looking forward to more of your adventures and beautiful pictures! Thank you so much for sharing Sabine! I’m glad you enjoyed 🙂 I’ve never tried kitesurfing but maybe one of these days. I’ve been to a lot of kitesurfing places without even realizing it… Essaouira Morocco, Tarifa Spain, and even Koh Phangan in Thailand. Sending you lots of love! Amazing post! I’ve been to SL twice now, and might be heading back this summer for trip 3. I’ve been to most of the places but wouldn’t mind another trip back with my new photo gear. Great Itinerary too! Wonderful, thanks so much 🙂 Anywhere else you recommend that I missed? I will be traveling in the month of November to Sri Lanka. I have a couple extra days before heading south for a retreat – suggestions of itinerary? Also- I am gluten free, HELP! Thanks for the fabulous article about my country. 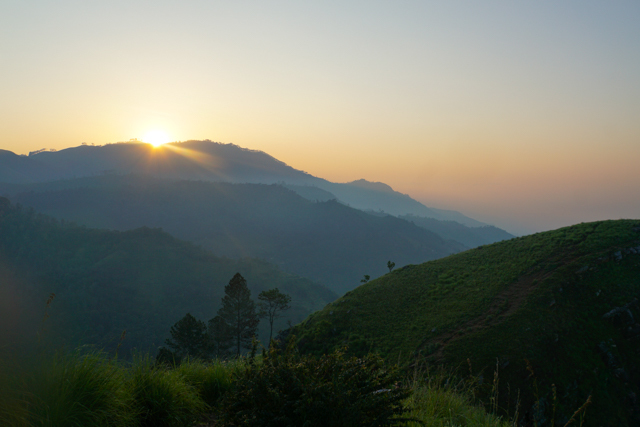 If you get a time, please climb the mountain “Hantana” (in Kandy). 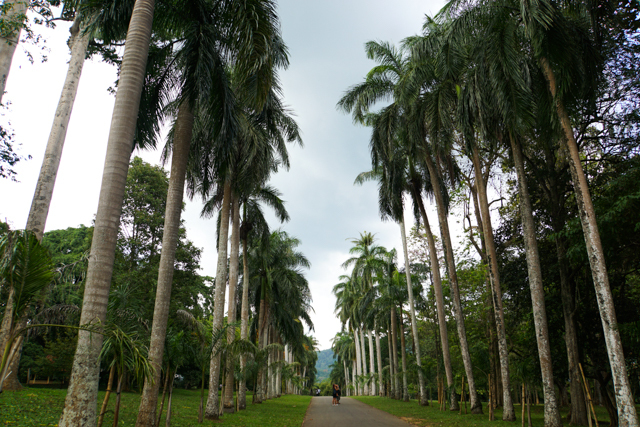 You may start climbing from the University of Peradeniya, and get down from the other side of the mountain to reach the city of Kandy. 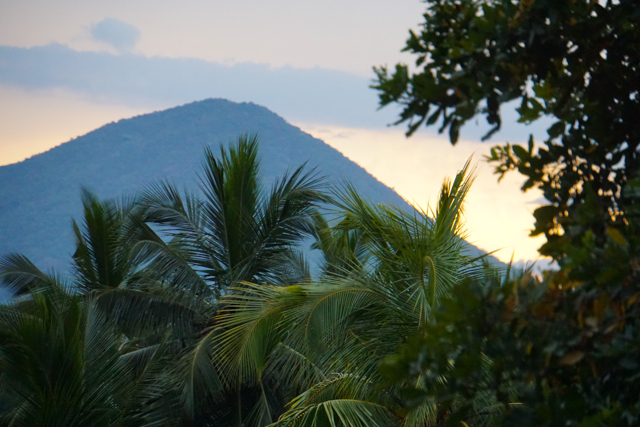 Or, if you could start early in the morning, like 6.30 a.m., you may then plan to go up to “Sarasawigama”. I am from the University of Peradeniya, and I have climbed Hantana at least 20 times, and I can keep climbing it again and again. Right now I am in the US, but if you email me, I can introduce you to my other hiking members who are from the Univ of Peradeniya, I am sure they will join you to climb Hantana if you like. Also, climbing Adam’s Peak from “Kuruwita” is something that you should never ever miss if you are going to Sri Lanka, and if you like hiking. Many people climb Adam’s Peak from “Hatton – Nallatanni” side, which is actually not worth, as you keep walking on man made concrete steps. Thanks again for the nice article. May triple gem bless you. Very good article complete and well structured! The suggested itinerary is very useful for those who like me are in full preparation of their circuit. Your article made me dream just as much as the country itself!